Tri Star is the Sacramento Valley’s leading provider of auto detail, auto paint and auto body products and supplies. Supporting auto detail shops, auto dealers, and paint and body shops in Sacramento since 1987, Tri Star prides itself on not only the broadest in-store stock of auto detail, paint, and auto body supplies, but also in providing the best customer service of any PBE Jobber in California. We carry all major brands of auto detail, paint and auto body supplies for Sacramento auto dealers, detailers and body shops, as well as our own high quality line of chemicals and sprays, Finish Line.Come visit our warehouse at 1504 El Camino in Sacramento, or arrange to have one of our fully stocked vans visit your Sacramento location on a regular basis. Located at 1504 El Camino in Sacramento, we have been serving Sacramento area auto detailing and auto body shops for over 30 years. We serve auto detailing and auto body shops in the surrounding communities of Sacramento County, El Dorado County, Placer County, Yolo County, including the communities of Sacramento, North Sacramento, South Sacramento, West Sacramento, Midtown Sacramento, Roseville, Rocklin, Folsom, Citrus Heights, Carmichael, Rancho Cordova, Orangevale, Fair Oaks, McClellan, Mather, Antelope, Rio Linda, El Dorado Hills, Cameron Park, Shingle Springs, Vacaville, Elk Grove, Stockton, Granite Bay, Penryn, Loomis, Grass Valley, Redding, Woodland, Davis, Auburn, Placerville, Jackson, Sonora, Reno, Tahoe, Yuba City, Marysville, and Chico. This is for IN STOCK items only. If you own a mobile auto detailing business or an auto detail shop in Sacramento, you know how important it is to use the best auto detailing supplies so blow your customers away. Tri Star offers the best auto detailing suppliesto our auto detailing customers throughout Sacramento. Whether it’s car wash brushes, car wash towels, a wax applicator, car wash mitt, or just a bottle of wax, We carry all the best products and price them right. We also stockplastic bottles, sprayers, spouts and chemical storage items in our Sacramento warehouse at 1504 El Camino. If you are looking for bug sponges, commercial grade wax and dressing applicators, microfiber towels, glass cleaning towels and bucket wash systems, we’ve got it all!We have all the auto detailing supplies you need for your auto detail business or to keep your own car looking bright and shiny! 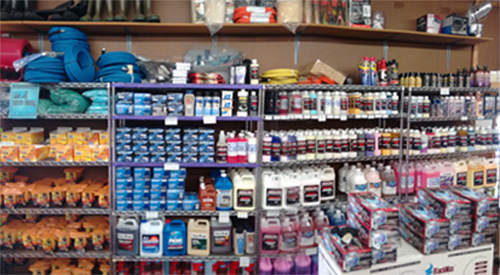 For your auto body and paint shop to be successful, you need the proper auto paint supplies and painting equipment to produce those truly professional results. Tri Star offers to of the line paint guns, as well as all necessary car paint supplies including paint mixers, brushes, painter’s files, aerosol spray gun, color matchers and more. For car body painting, you’ll want to choose from our wide selection of masking supplies as well as personal protective and safety supplies.